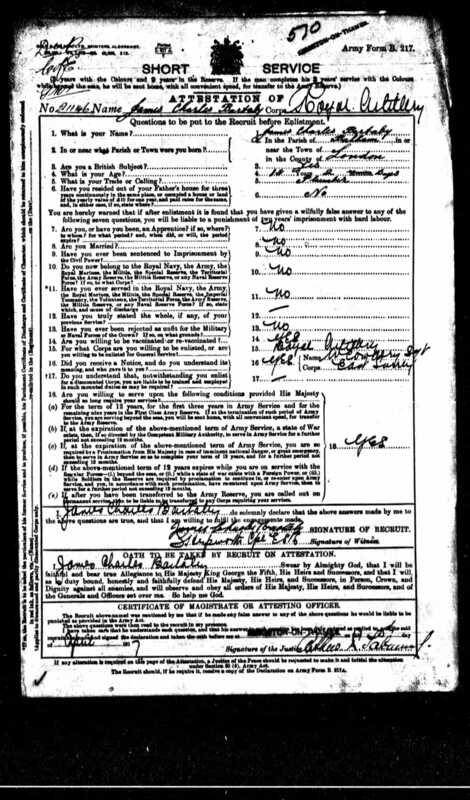 This entry was posted in Armed Forces and tagged Army, Balham, Underage by ww1wandsworth. Bookmark the permalink. 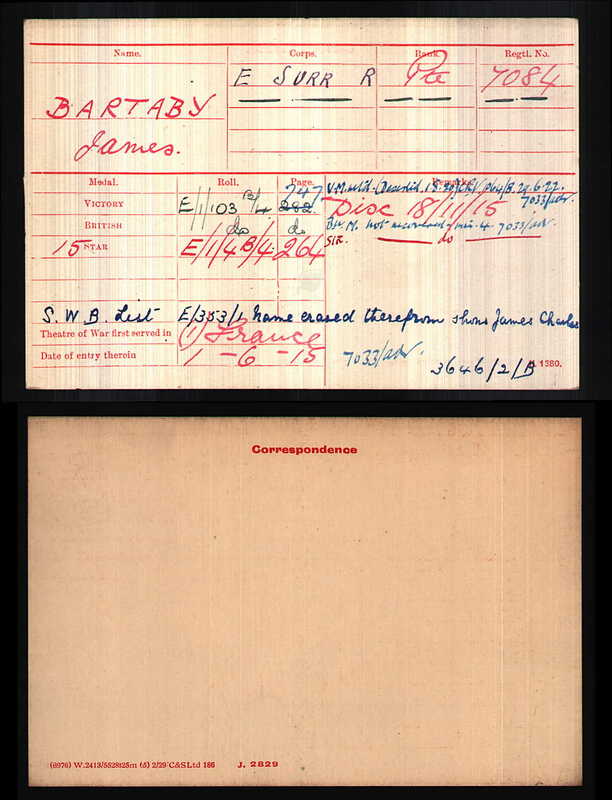 According to the 1901 census James Bartaby aged 1 1/2 (b. Balham) was living with his family at 38 Larch Road. Father, David (49) Navvy b. Norfolk, mother Louisa (35) b. Whitechapel and brother Herbert (11) b. Balham.